WP All Backup plugin helps you to create Backup and Restore Backup easily on single click.Manual or Automated Backups And also store backup on safe place- dropbox,FTP. Creates a Backup of your entire website: that’s your Database, current WP Core, all your Themes, Plugins and Uploads. The WP ALL Backup gives WordPress administrators the ability to migrate, copy or clone a site from one location to another. If you need to move WordPress or backup WordPress this plugin can help simplify the process. 3. WP ALL Backup menu will appear in Dashboard->WP ALL Backup. 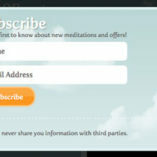 Click on it & get started to use. Store database backup on safe place- dropbox,FTP. This page show all the destinations available for the plugin. A destination is a remote system like Dropbox or FTP. Simply enter the destination information. When the WP ALL Backup runs the archive file will be sent to the destination and also stored locally. Leave these blank for local backups. Go to WP ALL Bacup > Setting > Exclude setting in the admin dashboard. If you would like to exclude certain files or folders from being backed up, such as a theme you don’t use or a file you added for testing purposes, but don’t need anymore, you can enter them into the Exclude Folders and files field. 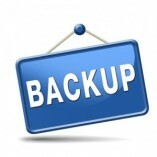 The files or folders you enter here will be skipped over for each backup you make. 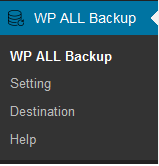 Go to WP ALL Bacup > Setting > Number of backups in the admin dashboard. Enter Number of backups to store on this server. Past this limit older backups will be deleted automatically. The disk that your backup is saved on doesn’t have enough free space? Backup disk is almost full? Low disk space for backup? Backup failed due to lack of space? As you may set up a schedule to automatically do backup daily or weekly, and the size of disk space is limited, so your backup disk will run out of space quickly or someday. It is a real pain to manually delete old backups. Don’t worry about it. WP ALL Bakup makes it easy to delete old backup files automatically. Go to WP ALL Bacup > Setting > Backup Type in the admin dashboard. Select Backup Type. Go to WP ALL Bacup > Setting > Schedule Settings in the admin dashboard. Select Auto Backup Frequency. 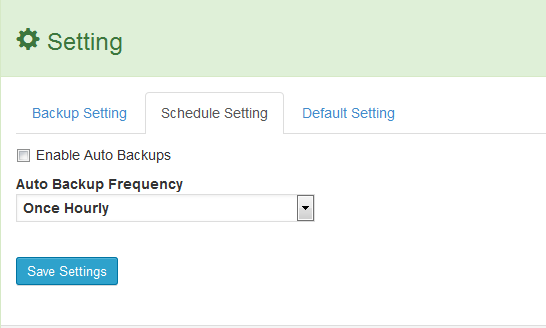 You’ll also be able to schedule regular backups so they run automatically without any extra configuration on your part. Go to WP ALL Bacup > Setting > Log Setting in the admin dashboard. Enable/Disable Backup Log . This plugin does require above average technical knowledge. If you plan to move WordPress or backup WordPress please use it at your own risk and do not forget to back up your files and databases beforehand with other backup system. Please do not attempt to use the plugin if you’re new to WordPress or have a limited technical background. Please seek out professional help if your in question of anything. Download backup file (zip) and Installer file (install.php) from backup listing. Create New Database for site2 (Create new user for database and give/grant all permission for this user also keep database information). 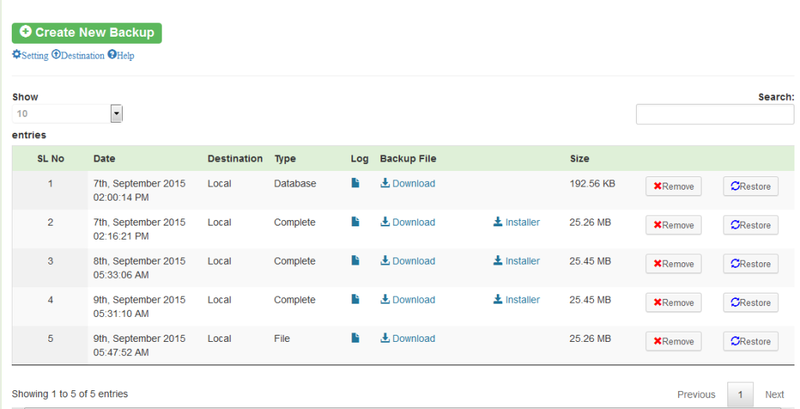 Upload backup file (zip) and installer file on server where you want to clone the site (i.e site2.com). Now you have clone your site successfully. Run the installer : open your browser then run install.php file. Leave New URL blank. 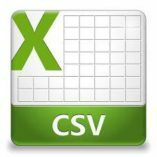 Enter Information like Database name,user name, password. Now you have restore your site successfully. How to restore database backup? Ans-This is generally caused by an access denied problem. You don’t have permission to write in the wp-content/uploads. Please check if you have the read write permission on the folder. If the site is very large, it takes time to create the backup. And if the server execution time is set to low value, you get this error. You will need to ask your hosting services to increase the execution time and the plugin will work fine.